Dai’s association started with the club as a Player when the club began as Kirkham in the 60’s. After his long association as a player and stints living abroad he returned to the club in 1993 when he became Chairman. Since that time Dai orcherstrated the rise of Kirkham and Wesham FC. Success soon followed and with his significant financial support combined with the appointment of Mick Fuller together they enjoyed year on year success winning West Lancashire League titles, League cups, LFA Cups and competitions through the 90’s. 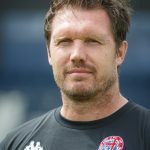 Davis backed the move to Kellamergh Park in 2006 when he was joined by good friend and successful businessman David Haythornthwaite and together they kickstarted the club’s transition to AFC Fylde and subsequent move up the non league football pyramid from Step 7 to Step 4 in 3 Seasons. The pinnacle of his reign as Chairman has to be Kirkham and Wesham’s finest hour in May 2008 winning the FA Vase a proud moment for long standing Chairman. Roles were reversed with David Haythornthwaite in summer of 2011. 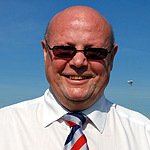 Since 2011, Dai has been an active member of AFC Fylde and is the Club President. 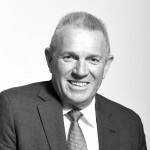 Club Chairman David Haythornthwaite, good friend of President Dai Davis, is a successful local businessman and Chairman of the Tangerine Group. His first involvement with the club came as Main Sponsor Vetplus in 2006 and his involvement grew into the development of a new era of AFC Fylde which kicked in after the club’s greatest day as Kirkham and Wesham Football Club winning the FA Vase at Wembley. He brings ambition, drive and professionalism to the club in its long-term bid to be in the Football League by 2022. 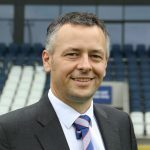 With David’s investment and sponsorship the club have gone on from strength to strength and the club’s development since his involvement has taken the club to the next level. Roles were reversed with Dai Davis in the summer of 2011. 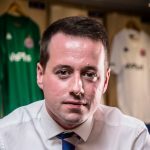 David has overseen the rise through the leagues as Chairman and has invested wisely in all areas of the club, including the Mill Farm project. Jamie Roberts was appointed Chief Executive of AFC Fylde in September 2018. Jamie brings a wealth of experience with him having worked at Wigan Atheltic for over ten years. His most recent role there was Head of Operations looking after the day to day running of the club. Previously to that, he was a key member of their Recruitment Department as well as working as Head of Performance & Analysis. 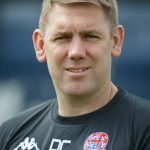 Dave Challinor became the manager of AFC Fylde in November 2011, joining from Colwyn Bay. He won the Championship in his first season with AFC Fylde clinching Evo-Stik North title against Salford City. In the 2012-13 season, the first year that The Coasters had played at Evo-Stik Premier level, Chally guided Fylde to a fifth-place finish, narrowly missing out on promotion after a playoff defeat. The following year, 2013-14, Fylde finished in third place. Challinor guided the side through the playoff system to defeat both Worksop Town and then Ashton United in the final at Kellamergh Park to achieve promotion to the Conference North for the first time in the clubs history. In 2014/15 The Coasters had another top-five finish in the league as they finished second, but unfortunately, Fylde lost in the playoff semi-final to Guiseley. They also enjoyed an F.A. Cup run which ended with a First Round defeat to the then League Two side Plymouth Argyle. Fylde enjoyed another successful 2015-16 campaign, once again reaching the FA Cup First Round this time they faced the then League One side Millwall losing 3-1 at The Den. Challinor reached the playoffs yet again before losing in the play-off final against North Ferriby United. In 2016/17 Challinor managed AFC Fylde to the National League North title and promotion to the National League for the first time in the clubs history. Another successful year followed and in 2017/18 Challinor guided the club to the FA Cup Second Round for the first time in their history. They drew at 1-1 at Mill Farm before losing the replay 3-2. Success also followed in the league as AFC Fylde finished the season in 7th, their highest ever league position. They qualified for the expanded playoffs. However, they were beaten 2–1 by Boreham Wood in the qualifying round. 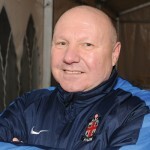 Colin joined the club as Assistant to Dave Challinor in November 2011. He is Challinor’s right hand man and was his No 2 at Colwyn Bay where he supported Challinor all the way through their promotion success as his trusted assistant. Woodthorpe has a distinguished playing career with Chester, Norwich, Aberdeen, Stockport and Bury amassing over 800 appearances as a professional. The former full back has passed on his vast experience to the squad and is a valued assistant by Challinor as they continue to enjoy success together as a management team securing another title in May 2012. In the 2012-13 season, the first year that The Coasters had played at Evo-Stik Premier level, Colin aided Challinor in guideding Fylde to a fifth place finish but unfortunately the play-off semi-final game was lost. However, the following year, 2013-14, Fylde finished in third place and were just four points off the top at the end of the season. Colin helped to guide the side through the play-off system to defeat both Worksop Town and then Ashton United in the final at Kellamergh Park to achieve promotion to the Conference North for the first time in the clubs history. The Coasters finished second in the Conference North which meant another top five finish in the league, something that Challinor and Woodthorpe have achieved together in every season they have been at AFC Fylde. Unfortunately, Fylde lost in the play-off semi-final to Guiseley. Fylde enjoyed a successful 2015-16 campaign, once again reaching the FA Cup first round and putting in a fine display in a narrow 3-1 defeat at League One giants Millwall, before ultimately losing in the play-off final against North Ferriby United. The Coasters also reached the last 16 of the FA Trophy. Bob has had a long association with the Club and was rewarded with a long service award in July 2009 from the Lancashire Football Association recognising his services to football. Bob has also performed various roles at the club including catering, ground improvements and Club Secretary culminating in a busy season in the FA Vase in 2008 before taking the Match Day Secretary role this season. He is also the Development Officer for the West Lancashire Football League. Bob still spends much of his spare time down at Kellamergh Park providing assistance with our ongoing ground developments. His day to day jobs include making sure the match-day team sheet is completed on time as well as timekeeper. He is a well respected member within the A.F.C. Fylde community. 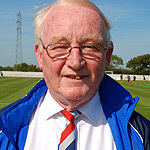 Involved with Wesham, then Kirkham & Wesham and finally with AFC Fylde for almost forty years. Performed every office you can thing of and currently Chairman of the Trustees for the Community Foundation and Club Welfare Officer. 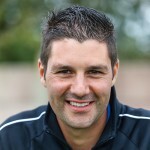 Luke was appointed Head of Media for the club in November 2018, with a wealth of experience in the football industry. 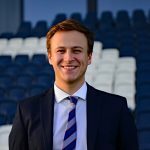 Luke had previously worked at the Surrey FA for the past two years alongside working with National League South side Hampton and Richmond Borough. “I’m delighted that Luke is finally on board. We had a very thorough recruitment process and Luke shone through as the leading candidate from that. His skillset will fit well with the club and the fact that he has relocated so far shows not only his commitment but also the profile we have at the club to be able to attract him”. Beth joined the team in February 2019, with a background is in the commercial and brand awareness side of sport. Beth gained experience in a variety of departments with Liverpool FC, Leeds United FC, Leeds Rhinos Rugby Club, Yorkshire County Cricket Club, Leeds Force Basketball Club and Yorkshire Jets Netball Club. She has previously worked at Everton FC, linking up with both Partnership Sales and Activation teams, and was involved in the Angry Birds and Sure Men sponsorship, producing reports and actively looking for new ventures to boost brand exposure. 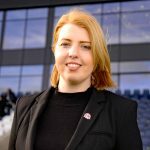 Beth joined AFC Fylde from Joie International, a baby product brand where she was their Partnership Manager, where was solely in charge of all management and activities linking to their sponsorship with Liverpool FC. Tom joined the club in November 2012 as the Club’s first full time Community Officer. He worked as a Sports Development Coach for YMCA as a teenager and has a wealth of contacts and experience in delivering multisport sessions in schools all over the Fylde Borough. He is also a qualified referee. He now heads up the Community Foundation which involves co-ordinating a group of coaches and working with local community groups and primary schools in order to deliver a fantastic sports programme for young people across the Fylde Coast. The Community Foundation team can be seen on a match days. Daniel joined the club in February 2013 and helped out for the remainder of the season. Due to the previous groundsman leaving, Daniel was offered to take the role permanently and did a great job in the 2013/14 season culminating in him being nominated for groundsman of the year.